Having studied music from an early age, I have been very fortunate to have seen some of the most fantastic musicals from all around the world. Whilst in school I had an outstanding music teacher who would often arrange trips to some of the touring productions, as well as ensuring that our choir also performed regularly in shows. I remember learning several of the songs that feature in Joseph and the Amazing Technicolour Dreamcoat, yet despite regular visits to both the West End and Broadway, I have bizarrely NEVER actually seen the show in full before.......that is until now. 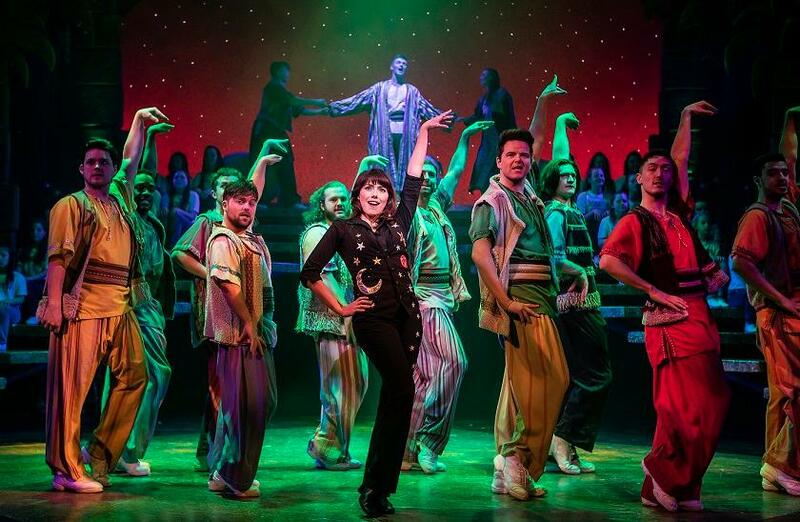 Last night the touring production of Joseph and the Amazing Technicolour Dreamcoat wowed the audience at the Storyhouse theatre in Chester, with an exciting, enjoyable and skillful performance of the well known musical. As the lights dimmed we were treated to an overture that had guests clapping along before the show had even began. 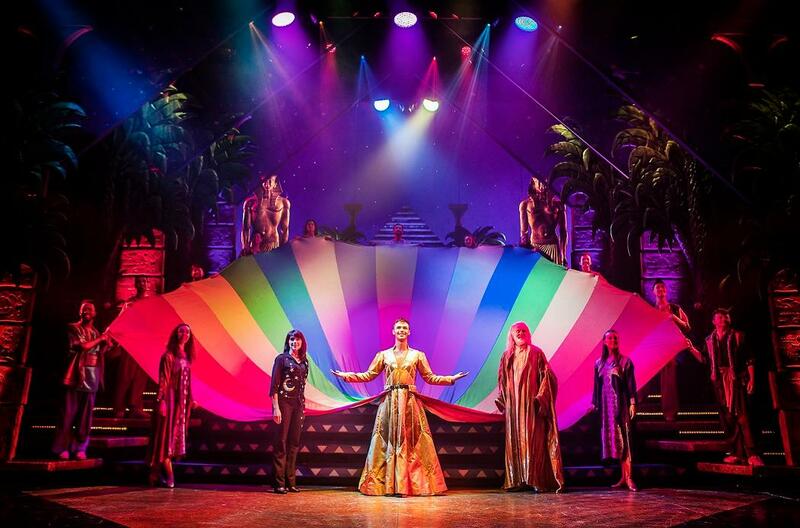 When the curtain rose I knew we were in for a great evening, as we sat back to enjoy this interpretation of the story of Joseph, his brothers and of course his Amazing Technicolour Dreamcoat! The lead role of Joseph is played by Jaymi Hensley, a member of the boy band Union J. He provides an outstanding performance that was truly a delight to watch. I had been slightly sceptical beforehand, as to whether a young pop voice would be powerful enough for a leading part, but he absolutely shines like a star right from the very beginning and throughout the entire show. His vocals were strong and powerful, yet he was also able to apply plenty of emotion when required, which was particularly evident in scene six during 'Close Every Door'. Trina Hill stars as the narrator, who does a stellar job of bringing Joseph's story to life through song. Her vocals were impressive and a delight to listen to and her musical experience was clearly evident as she uses her skills with great effect. 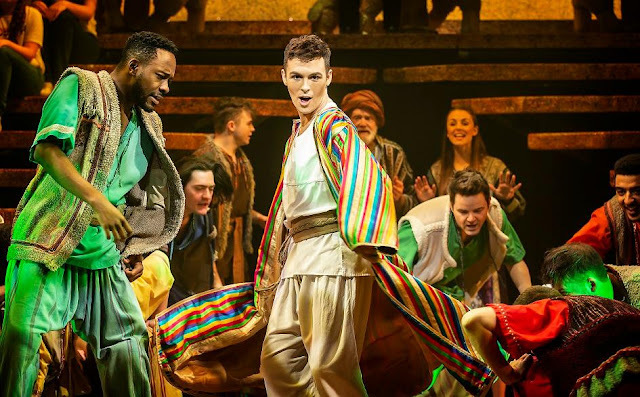 The actors playing Joseph's brothers brought a great sense of fun and vibrancy to the stage, with each of them delivering impeccable choreography and drama. The comical element of their performances were amusing and they all exhibited a keen passion for their roles. Two particular standouts for me were Alex Hetherington playing the part of Benjamin and Lewis Asquith who starred as both Simeon and the Butler. The handmaidens played by Amber Kennedy, Eve Norris and Gemma Pipe work extremely hard, undertaking a variety of roles and costume changes. In the second half of the show one of the handmaidens performs an excellent tango routine which was fascinating to watch, although admittedly I was slightly confused by the Eiffel Tower background whilst this took place, given that the story is based in Canaan and Egypt. One of my favourite parts of the show, was when we were introduced to the Pharoah, played by Andrew Geater. My family and I have seen him in several other productions before, so I was already aware of his vocal capabilities and acting skills. However, he impressed me on a whole new level last night and certainly brought plenty of smiles and laughter to the audience with his humorous and powerful portrayal. A special mention also has to be made to the Joseph Choir, which was provided by students of the local Chester Stagecoach School. My daughter used to attend this theatre group, so I know how much effort the students, staff and principals all put into their work. Several of her friends were in the production last night and so it was great to see the choir delivering some stunning supporting vocals, in what I am sure is a wonderful opportunity for all involved. During the show they were seated on raised steps, which added an element of simplicity and also ensured that the stage setting was never too crowded or over complicated. Both my husband and I loved the sound quality and lighting design which complemented each of the scenes superbly and highlighted the performers well. 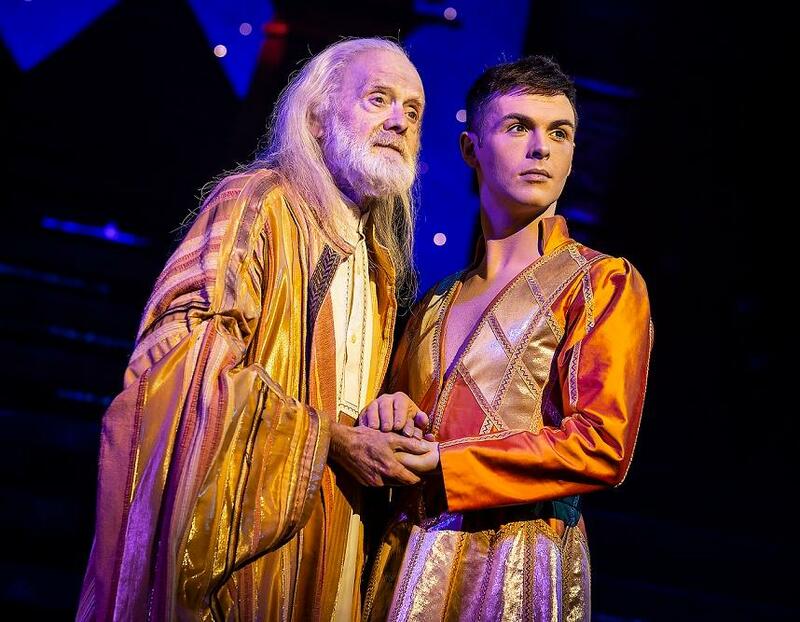 The final moments of the show during the Joseph Megamix brought the skills of both the technical teams and performers together to an exceptional level and it was great to see the audience appreciate these efforts with not only a standing ovation, but a good old song and dance too. In turn this created a truly wonderful atmosphere and the most perfect way to end our evening. Overall we had a fabulous time watching Joseph and the Amazing Technicolour Dreamcoat and it far exceeded my expectations. It is fun, fast paced and most importantly entertaining, so it is sure to delight audiences both young and old. I would absolutely recommend this show as being ideal for an enjoyable family trip to the theatre and I cannot wait to see it again in the future. Joseph and the Amazing Technicolour Dreamcoat is currently embarking on a UK tour and will be in Chester until Saturday 20th April 2019. For further details on how to book tickets, please see the listing details below. 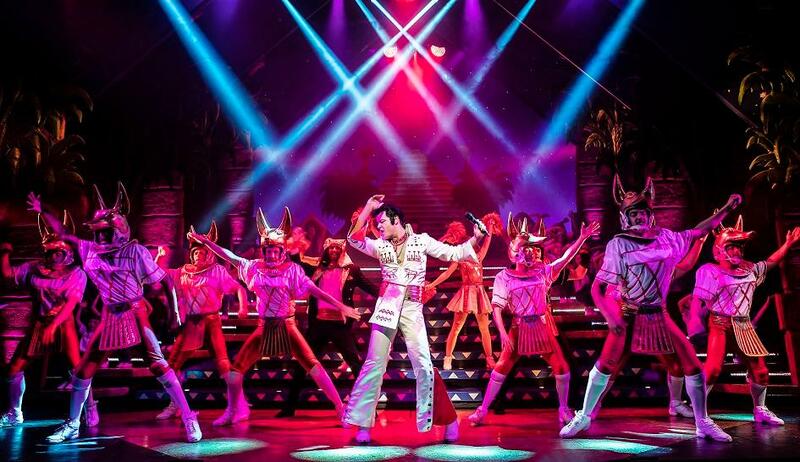 *Disclaimer - We were provided with complimentary tickets to the press night performance, for the purpose of writing an honest review of the show. Thoughts and opinions are my own unless otherwise stated.